Delaware, Ohio OVI lawyers hear many misconceptions about OVI charges, cases, and convictions. Often times, clients have received poor information regarding OVI laws and OVI procedures. Here are the top 10 OVI myths. If you have been charged with an OVI in Delaware, Ohio this information may be helpful. 1. OVI is a minor offense. OVIs can carry significant consequences. If you are convicted of an OVI, consequences include: you pay thousands of dollars, have your license suspended, points assessed on your license, and higher insurance premiums. Furthermore, an OVI can affect your future. If you are looking for a job, the OVI will show up on your background check and may be a barrier to finding employment. Moreover, colleges also routinely ask about OVI convictions. A college might deny your admission because of an OVI. 2. OVI is just a traffic ticket; you don’t need a lawyer. Although most OVI cases do occur in traffic court, handling an OVI case is a complex matter. In Ohio, an OVI is a first-degree misdemeanor. There are many different parts to and stages of an OVI case. Motions need to be filed, evidence needs to be examined, and investigations should occur. It is important to find a qualified OVI attorney in Delaware, Ohio or Columbus, Ohio to help. 3. Any attorney can defend an accused OVI driver. Many people believe that OVIs are ordinary cases that any lawyer can handle. The truth is that OVI cases deal with complex regulations and scientific evidence. It takes time for an attorney to develop expertise in OVI law, just like it takes an attorney time to develop expertise in any area of law. 4. You must be drunk to be guilty of OVI. Drunk is not a legal term and has nothing to do with an OVI. 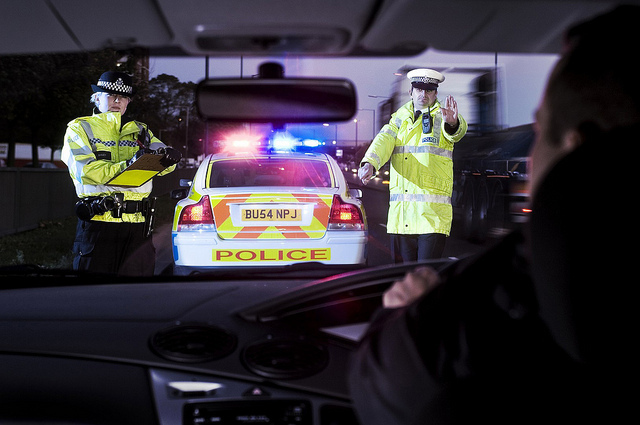 A person is guilty of an OVI if there blood alcohol level is above 0.08% or if they have illegal drugs in their system. Even if you do not feel “drunk” that doesn’t mean you couldn’t be convicted of an OVI. It’s a bad idea to decide whether to drive based on if you feel drunk. 5. You must be caught driving the vehicle to be guilty of an OVI / DUI. In Ohio, the state only needs to prove that you did drive the vehicle you were in to convict you of OVI. Convictions have occurred when vehicles were stopped on the side of the road and when vehicles were found in parking lots. 6. You must be driving a car to be found guilty of OVI. In Ohio, OVI stands for operating a vehicle under the influence. And the law means just about any vehicle conceivable. Convictions have occurred for driving a golf cart, snowmobile, and even a bicycle. 7. You have to perform field sobriety tests. You do not have to perform a field sobriety test. You can refuse to take a field sobriety test, just like you can refuse a Breathalyzer. 8. You can’t get an OVI if you’re high on marijuana or other drugs. You can get an OVI if you’re high on any illegal substance. Ohio Revised Code 4511.19 defines the offense of OVI. It prohibits any person from operating a motor vehicle under the influence of: (1) alcohol; (2) a drug of abuse; or (3) a combination of alcohol and a drug of abuse. If the police believe you are on drugs, they can arrest you and subject you to a chemical drug test. 9. If you refuse a portable breath test, your license will be suspended. It is a common misconception that refusal to take a portable breath test will result in your license being suspended for one year under an administrative license suspension. You can refuse the portable breath test. Your license will only be suspended if you refuse an approved breath-testing device, none of which are the small portable type. 10. You should always tell the police the truth. Although you should never lie to the police, you do not have to tell the police everything. You should not tell the police you have been drinking. Under the Fifth Amendment of the United States Constitution, you have a right against self-incrimination. You have the right to remain silent, use it. Tell your lawyer everything and let your lawyer speak for you. If you are facing OVI charges, hiring a Delaware, Ohio DUI attorney right away will help you start your case with confidence. At the Maher Law Firm, you can avail yourself of an experienced Ohio lawyer that understands the complexity of OVI/DUI cases and will fight for your rights. Attorney Colin Maher represents clients facing OVI charges in Delaware, Columbus, and throughout Central Ohio. Contact The Maher Law Firm for a free consultation today. Call 614-205-2208 to speak to a lawyer now.